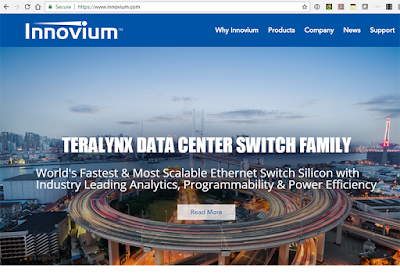 Innovium, a start-up based in San Jose, California, introduced its TERALYNX scalable Ethernet silicon for data centers switches. 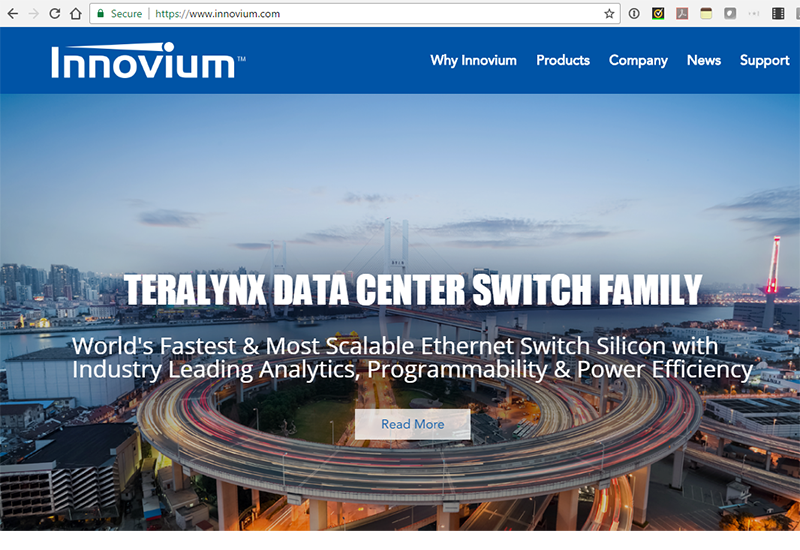 Innovium said its TERALYNX will be the first single switching chip to break the 10 Tbps performance barrier, along with telemetry, line-rate programmability, the largest on-chip buffers and best-in-class low-latency. The chip is expected to sample in Q3 2017. TERALYNX includes broad support for 10/25/40/50/100/200/400GbE Ethernet standards. It will deliver 128 ports of 100GbE, 64 ports of 200GbE or 32 ports of 400GbE in a single device. The TERALYNX switch family includes software compatible options at 12.8Tbps, 9.6Tbps, 6.4Tbps and 3.2Tbps performance points, each delivering compelling benefits for switch system vendors and data center operators. Innovium, in partnership with Inphi, also introduced a single switch chip based reference design for a platform supporting 12.8Tbps (128 X 100GbE) QSFP28 deployments. The reference design uses Innovium’s 12.8Tbps TERALYNX Ethernet switch silicon and Inphi’s 4-Level Pulse Amplitude Modulation (PAM4) chipset. Innovium also announced a board of advisors and investors consisting of networking industry luminaries: Yuval Bachar, Principal Engineer for Global Infrastructure Architecture at LinkedIn; Sachin Katti, Professor of EE & CS at Stanford University; Martin Lund, CEO of Metaswitch; Rajeev Madhavan, serial entrepreneur and General Partner of Clear Ventures; Pradeep Sindhu, Founder and Vice Chairman of Juniper Networks; Krishna Yarlagadda, President of Imagination Technologies; and Raj Yavatkar, VMware Fellow.